With this disclaimer out of the way, let’s get into the juicy rumors. 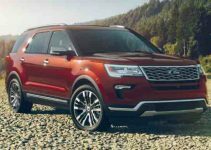 If these rumors are to be believed, the Ford Explorer switches from front-to-front rear wheel drive as in the first four generations from 1991 to 2010 model years. 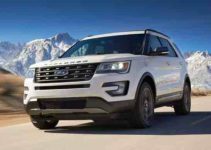 All-wheel drive will still be available, but there are expected to be no more explorers with sideways engines for the 2022 model year from 2019. The new Explorer will be built at the Chicago assembly plant on Ford’s upcoming modular CD6 platform, which can accommodate front, back or all-wheel drive. The report in TTAC says a lot about an unnamed “Lincoln counterpart” that complements the new Explorer. With Lincoln’s new penchant for real names rather than alphanumeric leaps, the name Lincoln Aviator perhaps returns as the luxury of the new Explorer, just as it was in the 2000s. You might wonder why on earth Ford would change things with the Explorer considering it just had its best sales year since 2004, 271,131 units in 2017. One possible reason is the police directorate. The Ford Police Interceptor Utility has become America’s favorite police vehicle with 12 percent of all researchers sold in 2017 going to police departments. The Hear-Rad drive is traditionally the standard for police officers and an RWD Explorer could free the police market share the Dodge Charger holds with a bite. Another possible reason for the rear-wheel drive is the likelihood that Explorer buyers living in snowy climates, where RWD isn’t ideal, are likely to often opt for an all-wheel-drive anyway. There was a five-year dispute between 1998 and 2002, with rear-wheel drive or all-wheel drives selling more than 400,000 units a year, so the Explorer’s front-wheel drive variant is unlikely to be missed too badly. But we’re just starting to start with the rumors. We haven’t even talked about engines. Rumour has it that the new Explorer has four engine options: The 2.3-litre EcoBoost turbo VV found in the current model, the 3.3-liter Cyclon V-6, currently available as an F-150 entry-level engine, a hybrid option, and a powerful 3.0-liter Liter-twin-turbo EcoBoost V-6, which currently makes 400bhp power and 400-foot-foot torque at Lincoln Continental and MKZ. You know where that’s going. The EcoBoost V-6 will reportedly power a Ford Explorer ST. That may have sounded like a stretch a few weeks ago, but the Ford Edge ST just debuted at the Detroit Auto Show and told us performance SUVs are now a thing at Ford. Sure, we already have a 365 horsepower Explorer Sport, but an ST version is likely to replace it with more performance tuning and a clearer appearance package, as the Edge ST did with the Edge Sport. As for the Lincoln sibling, it will reportedly only be available with the EcoBoost V-6 and a plug-in hybrid variant of the same engine, which is designed to achieve better electric range than the current Ford-remodels. We have to ask ourselves if the new hybrid Lincoln has a performance advantage over the standard. Again, we can’t stress enough that everything you’re reading about the Next-gen Explorer and its Lincoln counterpart right now is rumors and not official news from Ford. But everything sounds pretty realistic to us. 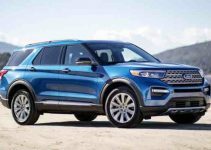 A hybrid explorer look settles with Ford’s plans to bring more power to its lineup, and an Explorer ST makes perfect sense now that we have an Edge ST. 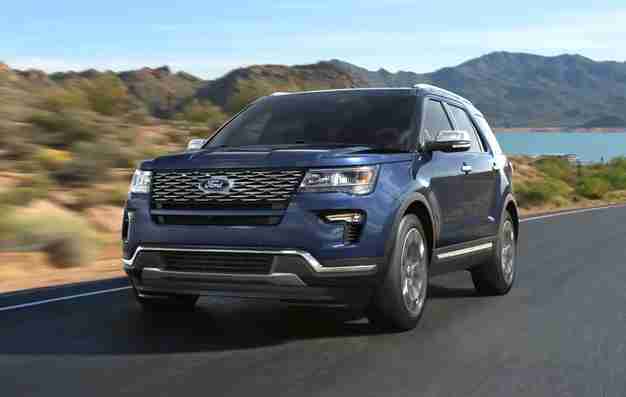 In terms of rear-wheel drive, we wouldn’t be too surprised if Ford introduced a new front-wheel drive to replace the current Explorer, as SUVs in the U.S. smash sedans and hatchets in sales. 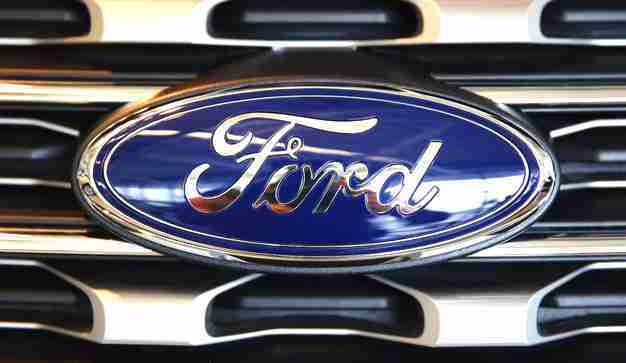 We’ll let you know as soon as we hear something official about the sixth generation Ford Explorer.